When the Carolina Panthers take on the Pittsburgh Steelers tonight, they'll be doing so without the services of veteran wide receiver Torrey Smith. 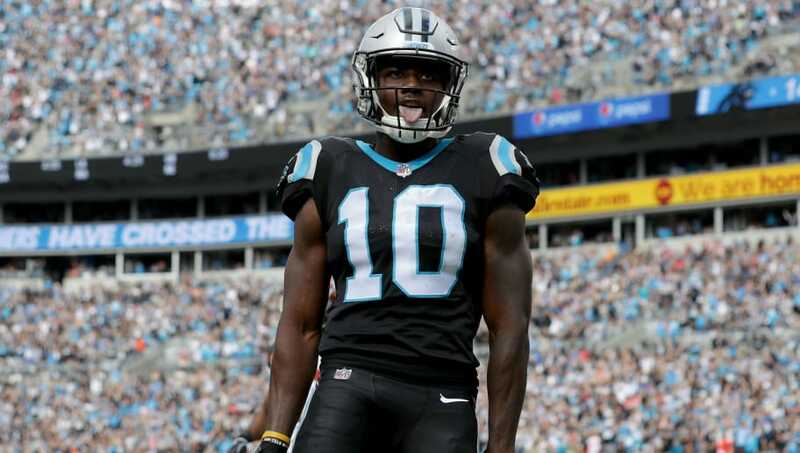 This does, however, give another golden fantasy opportunity to fellow wideouts Curtis Samuel and D.J. Moore. Samuel capitalized on this same opportunity in Week 9 against a porous Tampa Bay Buccaneers secondary. In total, he finished with two touchdowns (one on the ground, one through the air) but didn't haul in a ton of catches -- two for 25 yards. Samuel did, however, make the most of his one carry, which was a 33-yard double-reverse that he took to the house. Moore, on the other hand, was not as productive in that game against the Bucs, grabbing only one catch for 16 yards, but did have a nice 32-yard carry on his lone attempt. It was the Week 8 matchup against the Baltimore Ravens where Moore was a bigger part of the Panthers' attack, with a season-high five catches and 90 yards. With each of these Panthers' secondary receivers trading big games in each of the last two weeks, the winner of this battle will likely be the guy that can hit on the big play. Working in each of their favor is the fact that offensive coordinator Norv Turner tends to lean on the pass more in these back-and-forth offensive games, which is exactly what we should see tonight against the Steelers. For what it's worth, Moore has seen eight targets in the last two games Smith was inactive, while Samuel has seven.